Yes! Braces are for adults too! In fact, more and more grown up smiles are improving every day thanks to adult orthodontics. According to the American Association of Orthodontists, one in five patients starting orthodontic treatment is over the age of 18; this means more than 1 million adults are currently in orthodontic treatment. So if you’re thinking about orthodontics as an adult, you’re definitely not alone. Why is Adult Orthodontic Treatment More Popular Than Ever? There are a number of reasons more and more adults are getting orthodontic treatment. One is that it’s more socially acceptable; many of us have friends who are saying yes to braces, maybe even for the second time. Traditional braces are more comfortable and less visible than ever before, with less noticeable wires and smaller brackets that help adults avoid the “metal mouth” look we got used to as kids. The option of non-traditional clear aligners like the Invisalign system is also encouraging adults to take the plunge. Orthodontics practices are increasingly catering to adults in addition to children. You may be surprised to learn that NOVA Pediatric Dentistry & Orthodontics can help you, too. Many parents get to know our team through their children and return to our trusted team as patients! Many of our adult patients start out simply looking for a better smile. Maybe they didn’t get needed orthodontic care as a child–or maybe they had orthodontic work years ago but have failed to wear their retainer and their teeth have shifted. In many cases adult orthodontic treatment is not just for cosmetic reasons, it’s really about long-term mouth health. Many adults are looking to straighten crooked teeth or correct a misaligned bite to help them feel more comfortable. Straightening your teeth as an adult can help you care for your teeth as you get older since straight teeth are generally easier to clean and floss. Adults have access to many of the same options as younger patients, with the added possibility of clear aligners designed with adults in mind. Some of our adult patients choose traditional metal braces, which are much smaller and sleeker than the ones they experienced as kids. For less noticeable treatment, adults can also choose clear ceramic braces. Removable clear aligners have quickly become the most popular option for adult patients seeking orthodontic treatment. Invisalign is a system of removable clear aligners. They are a terrific solution for many of our adult patients. Invisalign aligners gradually shift your teeth over time using a series of custom-made, flexible plastic aligners. Your orthodontist starts by scanning your teeth (that’s right, no more of those goopy impressions!) and then comes up with a treatment plan that involves changing aligners every 1 to 2 weeks. Each new aligner applies gentle force to your teeth gradually straightening them over time. You’ll check in with your orthodontist every 10 to 12 weeks to check the progress of your tooth movement. At those visits you will also pick up a new series of aligners made just for you. For our patients, Invisalign has a number of upsides. They’re removable, so patients take them out for eating and drinking. They require fewer office visits. They are also invisible and comfortable since there are no metal brackets or poking wires. How Long Will I Have To Wear Braces As An Adult? Just like for kids, orthodontic treatment times for adults vary based on the initial position of the teeth. For Invisalign, the average treatment plan is 12 to 18 months. For our patients, it’s totally worth the wait when the result is a gorgeous smile and improved oral health for years to come. Adult orthodontic treatment, whether traditional braces or Invisalign, generally range from $5000 to $7500. Treatment fees can be broken down into monthly payment plans to make treatment affordable. Additionally many patients are able to use tax-free funds from Health or Flex Savings Accounts. Does Insurance Cover Adult Braces? Some dental plans do cover a portion of the orthodontic treatment fee. During the consultation with your orthodontist the financial coordinator will review your insurance benefit and the overall cost of orthodontic treatment. Orthodontic treatment in childhood can do a lot of good in a relatively short amount of time. Many adults, however, missed out on needed care in childhood. Or, perhaps retainers weren’t worn quite as often as they should have been and things shifted. The bottom line is that it’s not too late to get straighter, healthier teeth and the smile you want as an adult. 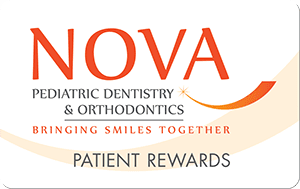 NOVA Pediatric Dentistry & Orthodontics has the expertise to help you, too!